Stella McCartney has reformulated and relaunched Stella Peony, originally introduced as part of the Stella In Two fragrance duo in 2006. Our original scent STELLA Peony is back and captures the energy of a blooming English garden, with a timeless vibrancy and sensual quality. Delicate yet daring, STELLA Peony combines fresh peppery florals with the masculinity of amber. Stella Peony was developed by perfumer Alberto Morillas. The notes include mandarin, freesia, lotus flower, peony, geranium, amber and patchouli. 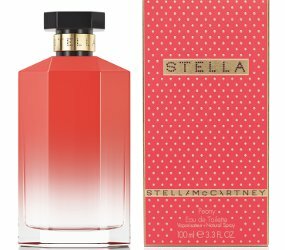 Stella McCartney Stella Peony is available in 30, 50 and 100 ml Eau de Toilette. I loved and wore the original – looking forward to giving this a sniff. Anyone tried it?